Rhinoplasty or nose surgery is a procedure that Beverly Hills plastic surgeon, Dr Warren Lent offers with those people who are interested in improving the appearance of their nose. Because every person's nose is different, Dr. Lent will evaluate your nose and facial features and consult with you on what nose reshaping changes should be made. The nose is the most prominent feature of our face. Its size and shape influence our entire facial appearance. A well-shaped nose appears balanced and in harmony with all of a person's facial features. When the nose is too large or too small for the face it will seem out of balance or asymmetric. Even if the nose is properly sized, but the individual parts of the nose are not well proportioned to one another, then the nose will appear out of synch with the rest of the face. These problems can be due to trauma, genetics, or previous surgery. A well-balanced, proportionate and harmonious nose is essential for a beautiful or handsome appearance and it is for this reason that so many people seek to change and improve the shape of their nose. This plastic surgery procedure to improve the appearance of the nose is called a Rhinoplasty. 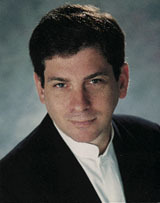 In Beverly Hills, Rhinoplasty Surgeon, Dr. Warren Lent, has helped hundreds of patients achieve tremendous enhancement of their self-image and self-confidence with his unique approach to Rhinoplasty. A history of trauma to the nose. A nose that is too large for the face. A nose that is too small for the face. A history of previous nasal surgery. The most important first step in preparing for a Rhinoplasty is during the consultation process. At this time a Board Certified Plastic Surgeon, such as Dr. Lent, will carefully evaluate your nose and determine exactly where the problems areas are. He will evaluate your nose in relation to your entire face and will use this information to develop a well thought out plan to improve your appearance. Preparing a proper pre-operative plan is essential to the successful outcome of Rhinoplasty. Los Angeles Plastic surgeon Dr. Lent will actually map out exactly what is to be performed prior to entering the operating room. During the procedure, attention will be focused on the underlying bone and cartilage, which make up the shape of your nose. It is on these structures that alterations will be made to give you your new shape. The operation can be performed thru either an "open" or "closed" approach. During a Rhinoplasty, any difficulty with breathing through your nose can also be corrected. A correction of a deviated Septum and/or enlarged Turbinates, structures that warm and moist air as it travels through the nose, can be performed at the same time. At the conclusion of the procedure an external dressing, which, usually includes a splint, is applied. This dressing is usually removed at about one week after the procedure. Packing is often placed inside the nose to control any post-operative bleeding. The packing is usually removed after 2 or 3 days. Most patients experience some degree of swelling and bruising of the cheeks and lower eyelids following surgery. Interestingly, most patients complain of very little pain after this operation. Like all surgery, there is some degree of risk, such as bleeding, infection and the risk of anesthesia, which a well trained, Board Certified Los Angeles Plastic Surgeon, will take every precaution to prevent. Rhinoplasty offers an excellent opportunity to improve your appearance. The ability to have a well-shaped, well-proportioned nose can leave patients with a new sense of well-being and confidence. Many people who have felt stifled or inhibited because of the way they perceive their appearance have gone on to experience a sense of improved self-image and self-esteem following a Rhinoplasty. To best understand all of your options, a full consultation with Beverly Hills Cosmetic surgeon, Warren M. Lent, MD is recommended. For further details on each aspect of a Rhinoplasty, Beverly Hills plastic surgeon, Dr. Lent invites you to visit his collection of articles in his Rhinoplasty Education Center.